Tag nr. : 1215 greenMicrochip: 945000001370517D.O.B. 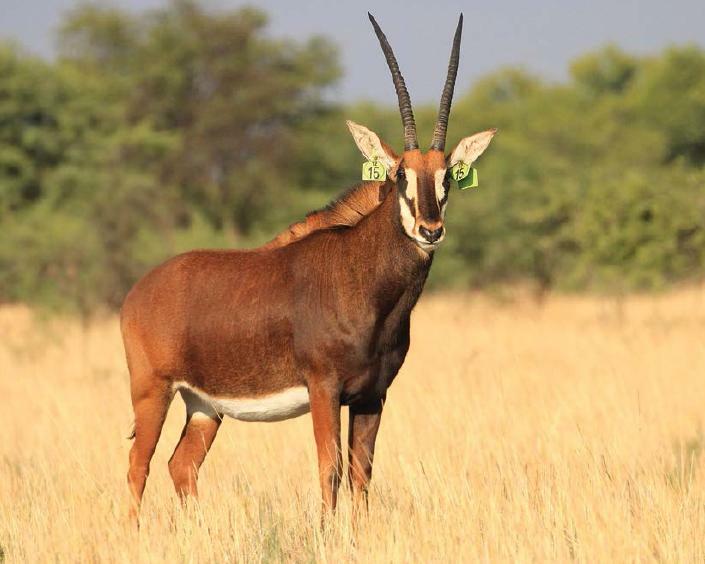 : 26-07-2012Bloodline: ZambianMeasured: 06-4-2016Horn length: L 26 4/8" R 26 2/8"Tip to tip: 12 4/8"Base: L 67/8" R 7"Rings: L 27 R 27Tips: L 9 6/8" R 9 4/8"Sire: 47" Zambian bull Arend .Description: Cow in calf to 44" Zambian bull, Atlas (48" Jackpot Son).Available: Immediately.